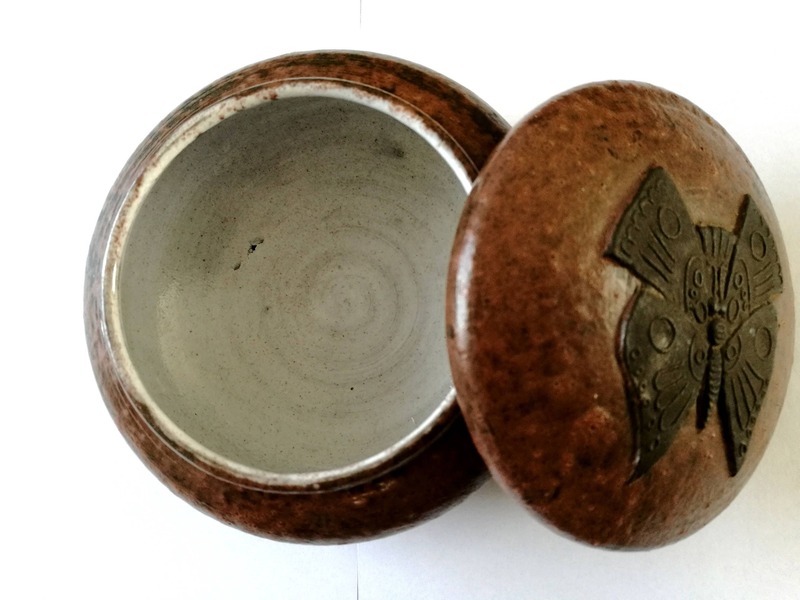 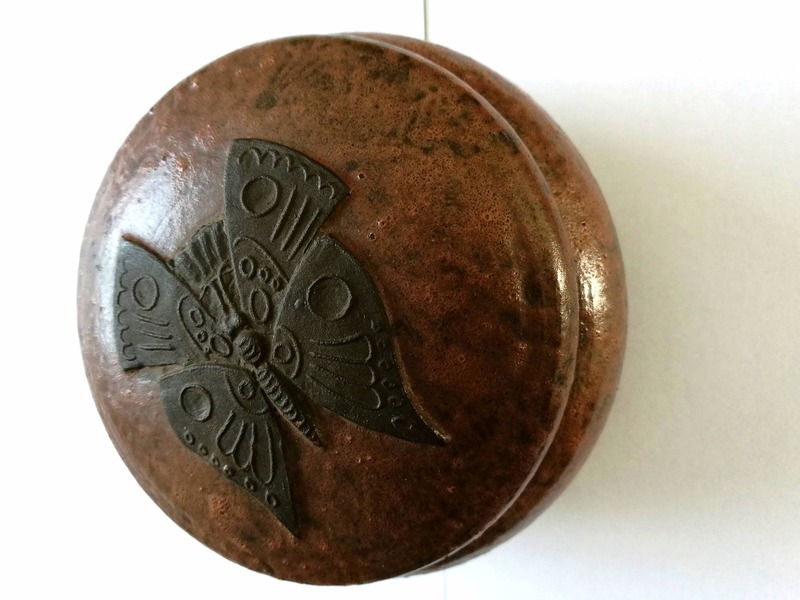 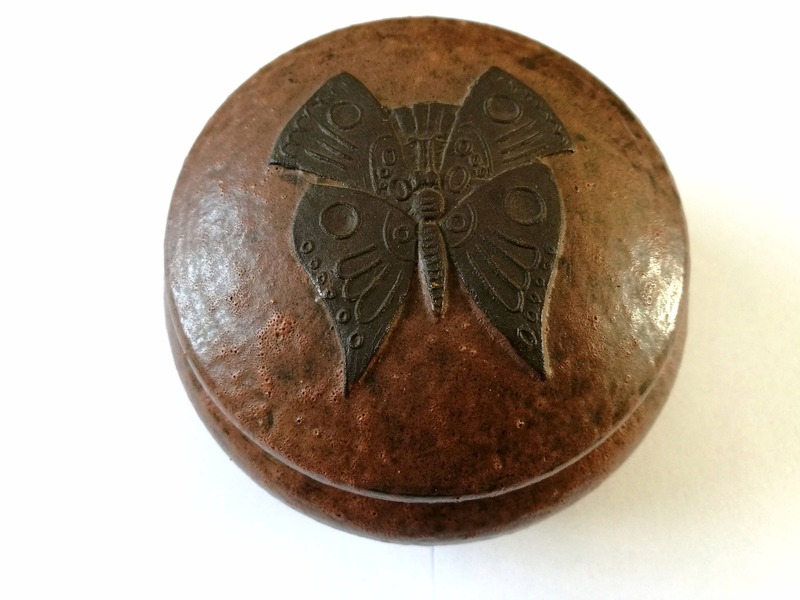 Amazing vintage ceramic box in pristine condition. 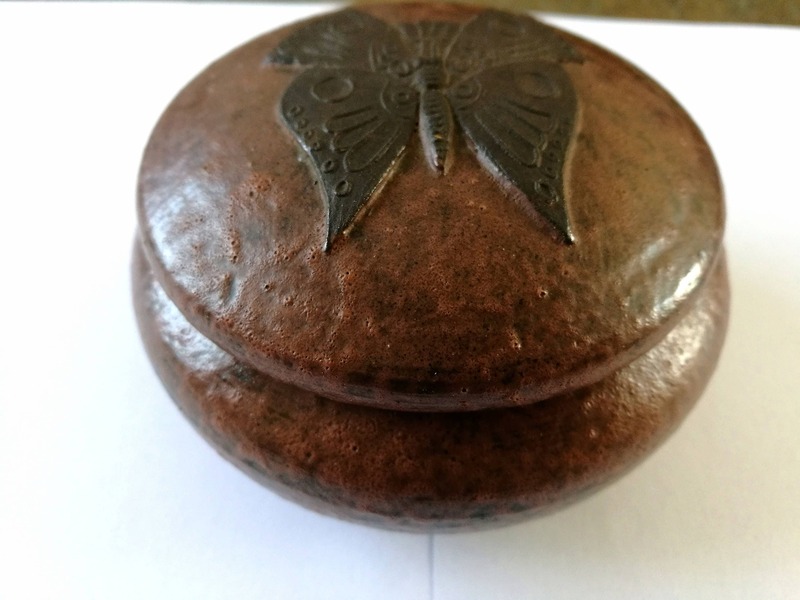 Probably Dutch and from the 50's but with a very art nouveau feel to it, thanks to the metal butterfly decoration on top. 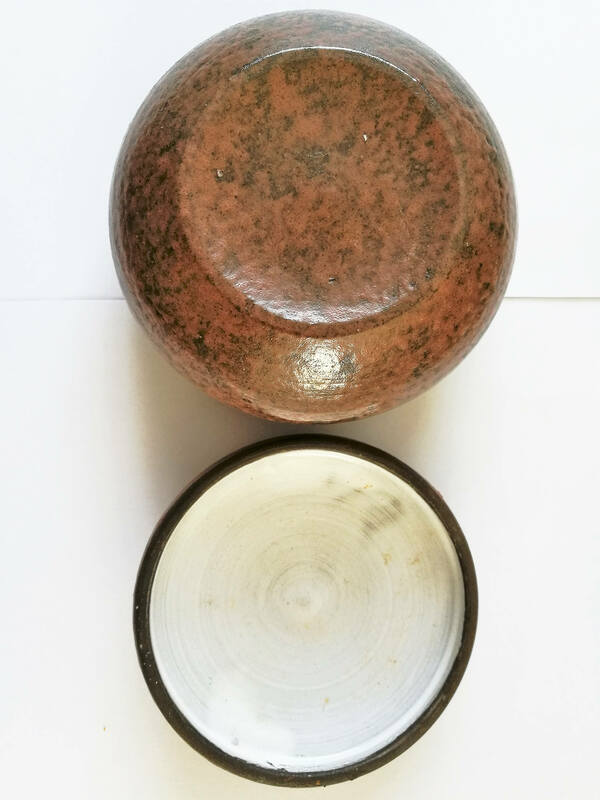 The thin clay is nicely finished with a red brown salt glaze.